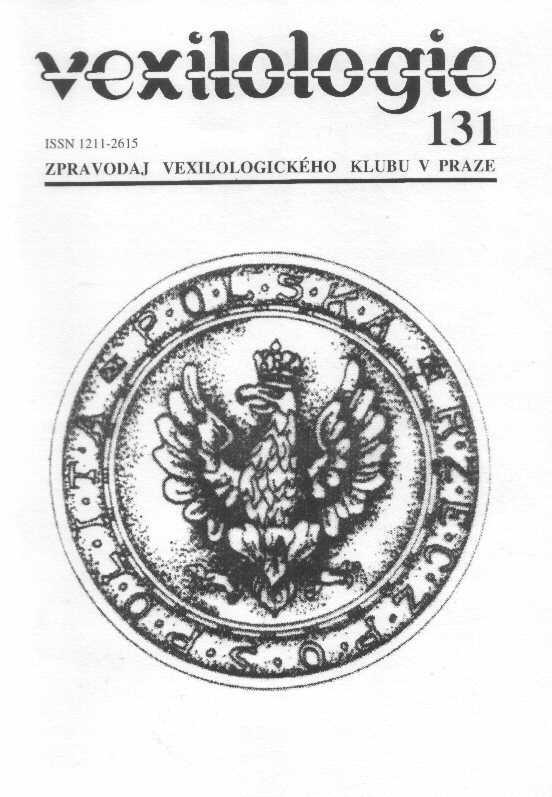 Jerzy Wrona summarizes the newest history of Polish state arms that is characterized by repeating of placement (1919-1955, 1989-) and removal of the royal crown above the eagle’s head after renovation of Polish state in 1918 due to changes of its political orientation. Another trouble lays in the double design of the Polish state flag, in fact. 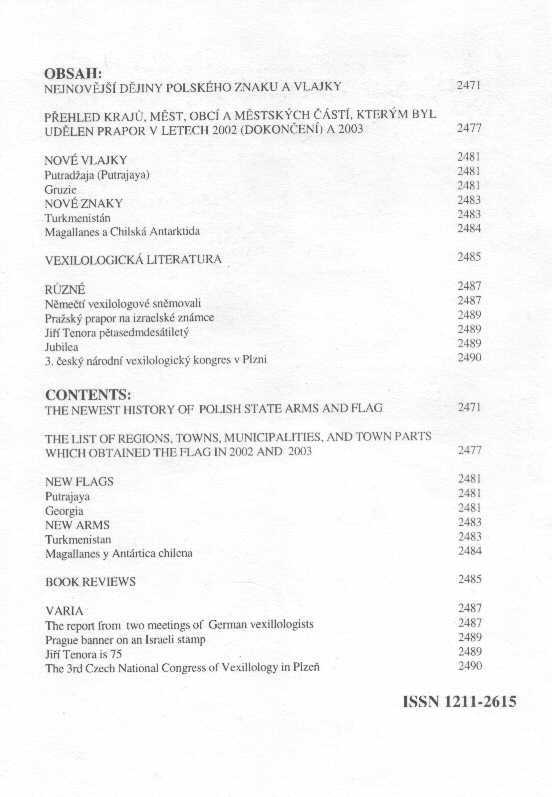 According to recommendation of A. Znamierowski, only such a flag bearing the State arms should be furthermore indicated as the State flag while a plain white-red bicolour should be called National flag of Poland as responds to vexillological practice. The 3rd Czech National Congress of Vexillology will be held in the town of Plzeň (Pilsen) on September 10-12, 2004. Except of many interesting papers and the Annual meeting of the Vexillological Club, an exhibition of unique vexillological publications in the Regional Research Library and an excursion to the famous Pilsen Urquell Brewery are planed. Those interested in participation are asked to contact us on the Club’s address before May 31, 2004.